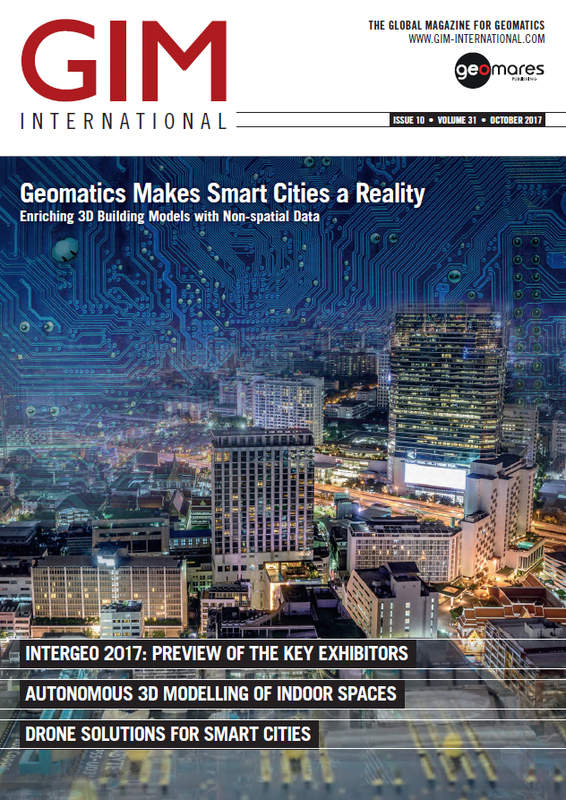 Furthermore this issue contains the Intergeo preview! Today, the main use of 3D building models is for visualisation purposes. However, such models also have huge potential for supporting the ‘smart city’ concept. Disaster management, 3D cadastres, energy assessment, noise & pollution monitoring and visibility analysis could all benefit from enriched 3D building models. To demonstrate this potential, the authors present three case studies in which 3D building models have been enriched with non-spatial data. The datasets can be visualised and managed online within a web-GIS platform. Mobile scanners not only require a suitable combination of sensors, but also reliable and continuous knowledge about where the scanners are located and the direction in which they are pointing during scanning. This article compares several mobile scanning solutions for 3D modelling of indoor spaces and highlights their strengths and weaknesses. The influence of terrain on Structure-from-Motion software solutions is difficult to characterise and not well examined. As an attempt, this study compares differences in point clouds generated by three different types of SfM software: two well-known commercial packages, Pix4D and Agisoft PhotoScan, and an open-source set of tools called OpenDroneMap. Terrestrial laser scanners equipped with in-built cameras are well suited for identifying surfaces in point clouds of building interiors. The colours from the images can be automatically projected on the planar structures, resulting in a textured 3D model of rooms, halls, corridors, stairwells and other indoor spaces. Besides this, using computer vision methods, sockets, switches and other objects attached to walls can be automatically identified in the 3D model and their x,y,z positions determined. This article present a case study.